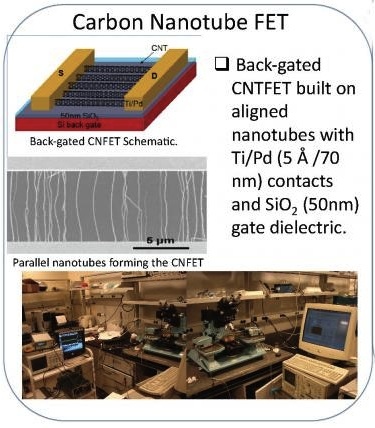 A carbon nanotube synapse circuit created by researchers at the University of Southern California behaves like a human neuron in tests. Could scientists build a synthetic brain? "This is a necessary first step in the process," said Professor Alice Parker, who began the looking at the possibility of developing a synthetic brain in 2006. "We wanted to answer the question: Can you build a circuit that would act like a neuron? The next step is even more complex. How can we build structures out of these circuits that mimic the function of the brain, which has 100 billion neurons and 10,000 synapses per neuron?" Via Researchers create functioning synapse using carbon nanotubes.